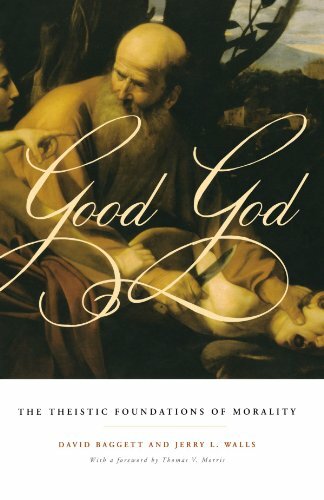 In the final chapter of God and Morality, Mark Linville argues for a view in which morality is objective and depends on God. He does not argue that moral realism is true, but assumes as much and then offers a model for understanding how objective moral truths depend on God, which he calls “moral particularism”. Linville begins the chapter by offering a critique of a view he rejects, in which morality is made true by divine fiat. On this view, the claim that adultery is wrong is true only in a relational and contingent manner. Adultery is immoral because God has prohibited it. There is nothing inherently wrong with the act itself. One problem for this view, however, is that things really could go either way, i.e. God could have commanded adultery, and it would have been good. Or consider the following options: (i) God creates Adam, grants eternal friendship to him, and provides him with what he needs to flourish; or (ii) God creates Adam and allows him to experience nothing but eternal pain, grief, and torment. If morality is true merely by divine fiat, then God is good regardless of the option he actualizes. Both (i) and (ii) are consistent with God’s goodness. But as Linville points out, the term “good” appears to no longer have any real meaning here, because it fails to pick out any feature or property in a distinctive manner. Fortunately, there are other options available for those who think that morality in some sense depends on God. Aquinas, for example, holds that God is himself the good. The good is not identical to God’s commands, but rather God is the criterion of goodness. As William Alston states it, God is himself the ultimate criterion of value. Alston calls this view value particularism, because “the criterion of value is a particular being rather than a principle or abstract idea” (p. 143). Linville agrees with this. However, Alston goes on to argue that moral obligation depends on God’s commands. Linville disagrees with this latter claim. The view favored by Linville is moral particularism. This is the view that God’s nature is the standard for both the right and the good. On this view, the ultimate explanation of the significance and value of love is the loving nature of God. That is, loving others is commanded because it is obligatory. It is not obligatory because it is commanded. God is the ultimate ground of the requirement that we love others, because God is himself love (1 John 4:8). The command, “Be holy, because I am holy” (1 Peter 1:16) reflects this reasoning as well. God’s nature yields the obligation, ultimately. When we reflect upon the obligation of loving others, it is also important to point out, as Linville does, the Christian doctrine of imago Dei. It is crucial that human persons are made in the image and likeness of God. This is the ground of our value. This fits nicely with the above. It is quite plausible to think that personhood has value because God is a person, just as love has value because God is love. We owe others love, justice, and mercy because they are persons, made in God’s image. 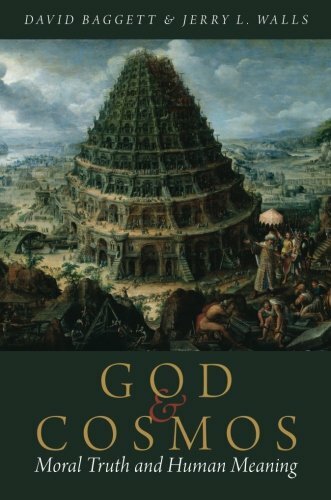 God, a Person, “is both metaphysically and axiologically ultimate” (p. 158). If we understand this claim, and our moral faculties are functioning properly, we should just see that it is true. One can know that recreational baby stomping is wrong, without any knowledge of theology or God. God can set up our world so that we can form such value judgments that do not depend on understanding their grounding in Him. This belief can have warrant, whether or not one believes in God. This is important because the claim that is relevant to moral apologetics here is not that one must believe in God to have properly functioning faculties. Rather, the claim that is relevant is that the theist can offer a better explanation for why human beings have faculties that reliably track moral truth—those faculties were specifically designed for the task. I would add that theists have another and in my view stronger claim to make. On theism, there is an explanation for the very existence of such moral truths. There is a personal and morally perfect being whose nature grounds them. It is difficult to see how such truths are metaphysically grounded, on naturalism. In his reply, Evan Fales argues that there is no need to bring God into the explanation. Instead, we can simply say that the moral law is ultimate. The problem here, however, is explaining the existence of the moral law, with its self-evident moral truths, in a purely natural world. Did the moral law arise from the Big Bang? How would that work? Moral truths don’t seem natural. They don’t have weight, spatial location, and so on. The theist has a ready explanation for the existence of such truths, as we’ve seen, whereas the naturalist does not. A moral law fits well within a theistic framework, but not a naturalistic one. This is a key piece of evidence in favor of theism. The nonnaturalist has a ready reply to the argument from Darwinian counterfactuals. For he might wish to maintain that certain natural properties bear a necessary relation to the moral properties that they exemplify, regardless of any evolutionary possibilities. But nonnaturalists who are also metaphysical naturalists seem to have problems of their own in the face of such Darwinian counterfactuals. How is it that unguided human evolution on earth has resulted in just those moral beliefs that accord with moral verities? As Gould has argued, everything about us, even our very existence, is radically contingent. If we were to rewind the reel, it’s highly unlikely evolution would again attempt the experiment called Homo sapiens. The Dependence Thesis in the hands of the nonnaturalist seems highly improbable. A sort of moral fine tuning argument is suggested. The theist may have an advantage just here. For, on theism, as Santayana put it, the Good is also nature’s Creator. The theist, like the nonnaturalist, is in a position to say why there is a necessary connection between certain natural properties and their supervenient moral properties. Adams, for example, suggests theistic Platonism, so can account for why nobody could exhibit Hitler’s qualities without being depraved and an affront to God’s nature. But the theist also has an account of the development of human moral faculties—a theistic genealogy of morals—that allows for something akin to Street’s “tracking relation”: we have the basic moral beliefs we do because they are true, and this is because the mechanisms responsible for those moral beliefs are truth-aimed. The theist is thus in a position to explain the general reliability of those considered judgments from which reflective equilibrium takes its cue. Certain of our moral beliefs—in particular, those that are presupposed in all moral reflection—are truth-aimed because human moral faculties are designed to guide human conduct in light of moral truth. Humean skepticism or Reidean externalism? Linville reads Hume as a skeptic across the board, not just in ethics. His ethical views were part of a seamless whole that includes his discussion of the beliefs of common life. In each discussion—causality, substance, personal identity—he aims to show both that the belief in question is without any epistemic credentials and that relevant human propensities explain the belief without making any assumptions about the truth of the belief. From a Humean perspective, we lack positive reasons to accept either the dependence or independence thesis. His is a variety of epistemological moral skepticism, so it resembles AEN. Reid countered Hume by common sense. Curing a madman is not arguing with a philosopher but casting out a devil, as Chesterton put it. There is no set of premises more certainly known from which such beliefs follow. Hume is right: the beliefs of common life are not endorsed by reason, but, instead, are the inevitable by-products of our constitution. But Hume is mistaken in inferring from this that such beliefs are, therefore, without warrant. Why, after all, trust the rational faculties to which Hume appeals, but not trust the faculties responsible for our commonsense beliefs? Both come from the same shop, and Reid thought the shop was God’s creation. Reid thought the commonsense beliefs that arise spontaneously and noninferentially given our constitution are warranted even though they fail to measure up to the exacting standards of epistemic justification assumed by foundationalists after the Cartesian fashion. These days we say such beliefs are properly basic. A belief is properly basic just in case the faculty through which it is acquired is functioning as it ought. Plantinga puts it this way: a belief is warranted just in case it is the product of a belief-producing mechanism that is truth-aimed and functioning properly in the environment for which it was designed. This account accommodates those perceptual, memorial, testimonial, and even metaphysical beliefs that are the guides of common life and, closer to our purposes, are among the fund of native beliefs with which we begin in theory assessment. Even closer to our purposes, such an account accommodates those moral beliefs employed in reflective equilibrium. Reid appealed to a set of “first, or ‘self-evident’ principles” of morality discerned through faculties that he thought were wrought in the same shop as reason and perception. Just as there is no reasoning with the man who, despite apparent evidence to the contrary, is convinced that his head is a gourd, neither is there advantage in engaging in moral argument with a man who fails to recognize self-evident principles of morality. Linville has been arguing that AEN provides an epistemological argument for moral skepticism, to show that our moral beliefs lack warrant because the mechanisms responsible for our moral beliefs appear to be fitness-aimed, rather than truth-aimed. If our best theory of why people believe P doesn’t require that P is true, then we lack good grounds to believe P is true. This much resembles an argument by Gilbert Harman. Harman’s so-called “problem with ethics” is that moral facts, if such there are, appear to be explanatorily irrelevant in a way that natural facts are not. According to Harman, we need not suppose that over and above such natural facts about Hitler as his monomania and anti-Semitism there is a moral fact of Hitler’s depravity. Nor must we appeal to his actual depravity in order to explain our belief that he was depraved. Harman may thus be viewed as arguing in his own manner that we have no reason to believe that the best explanation for our moral beliefs involves their truth. We have no good reason to think that the causes of those beliefs are dependent on whatever would make them true. Sturgeon has replied first by noting that moral facts are commonly and plausibly thought to have explanatory relevance. Both Hitler’s behavior and our belief that he was depraved are handily explained by his actual depravity, and this is in fact the default explanation. Sturgeon follows the method of reflective equilibrium, a method employed in both science and ethics, which begins with certain considered judgments, and with the assumption that our theories, scientific and otherwise, are roughly correct, then moves dialectically in this way between plausible general theses and plausible views about cases, seeking a reflective equilibrium. Sturgeon notes that, whereas he allows for the inclusion of moral beliefs among the initial set, Harman does not. But he argues there’s no non-question-begging justification for singling out moral beliefs as unwelcome in the initial set while allowing those of a scientific or commonsense nature. Sturgeon’s approach invokes the supervenience of moral properties on natural properties. On standard accounts, if some moral property M supervenes on some natural property (or, more likely, some set of natural properties) N, then it is impossible for N to be instantiated unless M is also instantiated. In all worlds in which Hitler believes and acts as he did, his depravity would supervene on such properties and be instantiated; he couldn’t have had those properties without being depraved. Harman, by denying this, tacitly assumes there are no moral facts or properties, which is of course the point at issue. Sturgeon’s appeal to reflective equilibrium is crucial in his reply to Harman. Brink goes to some length to argue that Harman fails to demonstrate any explanatory disanalogy between the scientific and moral cases. Linville finds Sturgeon’s reply successful. Sorley once said the true beginning of metaphysics lies in ethics. He thought that holding off on ethics until the task of worldview construction was complete would result in an artificially truncated worldview, and that moral ideas would be given short shrift. The exclusion of moral experience seemed arbitrary. Harman seems to be following in the tradition Sorley criticized. Harman’s results are achieved only by begging the question against the moral realist. But even Sorley would in principle admit that the initial “ethical data” must prove to be compatible with everything else that is included in our final interpretation of reality. In fact, the same year Sorley delivered the Gifford Lectures, George Santayana published Winds of Doctrine, in which he complained that Bertrand Russell’s then-held moral realism was the result of Russell’s “monocular” vision. Santayana said Russell didn’t look and see that our moral bias is conditioned and has its basis in the physical order of things. Eventually Russell abandoned his moral realism, crediting these very arguments. AEN suggests following Santayana’s advice, and bearing in mind Sharon Street’s worry: “If the fund of exhaustive judgments with which human reflection was thoroughly contaminated with illegitimate influence…then the tools of rational reflection were equally contaminated, for the latter is always just a subset of the former.” What we require is some assurance that our original fund is not contaminated. So, what reason have we for supposing that the mechanisms responsible for those judgments are truth-aimed, that the Dependence Thesis is true? Santayana suggested that if God exists and has fashioned the human constitution with the purpose of discerning moral truth, then we have reason to embrace the Dependence Thesis. But neither Russell nor Santayana was a theist. Moral realists need to give an account of moral beliefs that would lead us to suppose that they are reliable indicators of truth. Quine offers such a story with a Darwinian spin to inspire confidence in our ability to acquire knowledge of the world around us. Natural selection is unkind to those whose behaviors stem from either false beliefs or profound stupidity. We should expect our cognitive faculties to be truth-aimed and generally reliable given such selection pressures. Plantinga has challenged such stories with what he calls “Darwin’s Doubt.” The connection between fitness-conferring behavior and true belief might not be so certain as Quine suggests. If Plantinga is correct, then evolutionary naturalism is saddled with a far-ranging skepticism that takes in much more than our moral beliefs. Despite Plantinga’s many ingenious examples in which adaptive behavior results from false beliefs, many people just find the link between true belief and adaptive behavior plausible. And in any event the moral and nonmoral cases appear to be significantly different. The core of Street’s paper is her “Darwinian Dilemma” she poses to value realists like Sturgeon. Our moral beliefs are fitness-aimed. Are they also truth-aimed? Either there is a fitness-truth relation or there is not. If not, and evolution has shaped our basic evaluative attitudes, moral skepticism is in order. If there is a relation, then it is either that moral beliefs have reproductive fitness because they are true (the “tracking” relation), or we have the moral beliefs that we have simply because of the fitness that they have conferred (the “adaptive” link account). Adaptive link leads to constructivism. The moral realist needs a tracking account, but Street thinks fitness following mind-independent moral truths is implausible. A tracking account of paternal instincts would have to say more than that the behavior tends toward DNA preservation—something like the instincts were favored because it’s independently true that parents ought to care for their offspring. Nonnaturalists have the worst deal in light of the causal inertness of moral properties on their view. Ethical naturalists have a better time at it, but why not just eschew realism and go with an adaptive account? A dilemma similar to that urged by Street comes from another consideration of Darwinian counterfactuals. Sturgeon thinks moral terms rigidly designate natural properties. If justice picks out some natural property or properties, we might expect an ethical naturalist to conclude that moral judgments if true are true in all possible worlds. But Linville writes that to insist that our moral terms rigidly designate specific earthly natural properties to which human sentiments have come to be attached appears to be an instance of what Judith Thomason has called metaphysical imperialism. Sturgeon dialogued with Gibbard, who argued for expressivism. Sturgeon’s reply is that perhaps our ancestors called bargaining outcomes just because they really were. But is this so? The bargaining situation Gibbard had envisioned involved a cast of characters who were self-interested individualists. In such a situation, there was pressure in the direction of equitable arrangements. But imagine a different set of initial conditions—like lupine bargainers. If justice supervenes on certain natural facts, these will essentially include facts about the psychological constitution of the respective bargainers. It seems to Linville that the most plausible explanation is that such counterfactual moral beliefs are formed as the result of selection pressures that are themselves in place due to the contingencies of the evolutionary landscape—contingencies that are morally indifferent. While ethical naturalists in those worlds no doubt argue for the supervenience of the moral on the natural, the efficacy of moral explanations, and the existence of corresponding moral facts, we should, Linville thinks, regard them as mistaken. If the moral beliefs of the actual world have also taken their cue from predispositions that were fitness-conferring, then it is hard to see why our own ethical naturalists are in any better position so to argue. Photo: "Darwin Divergence" by Jwyg. CC License. Nietzsche had the insight that those, like George Eliot (Mary Anne Evans), who think they can have morality and moral duty without a religious foundation are deluded. “They are rid of the Christian God and now believe all the more firmly that they must cling to Christian morality.” Nietzsche thought there are no moral facts, precisely because there are no theological ones. The moral argument takes Nietzsche’s assertion as one of its premises: if there is no God, then there are altogether no moral facts. But contra Nietzsche it also urges that we have, in our moral experience, good reason to suppose that there are indeed moral facts. Such arguments come in numerous forms—without a lawgiver there’s no moral law, prudential considerations, requirements of moral knowledge—but Kant’s is one of the more sophisticated: If there’s no God, then the moral law makes objective demands that are not possibly met, namely, that the moral good of virtue and the natural good of happiness embrace and become perfect in a “highest good.” But then the demands appear to be empty, and in the face of such an antinomy, we might come to think of moral requirements as null and void. For Kant, though God is not the author of the moral law, he is required as a sort of Director of the screenplay. If death is the end, he also argued morality wouldn’t seem to matter as much as it should. Linville’s argument will instead focus on this: theists can, where naturalists can’t, offer a framework on which our moral beliefs may be presumed to be warranted. In particular, the naturalist’s commitment to a Darwinian explanation of certain salient features of human psychology presents an undercutting defeater for our moral beliefs taken as a whole. This argument is thus chiefly epistemological in nature, and seldom strays from the discipline of metaethics. Wilson and Ruse have suggested ethics to be an illusion fobbed off on us by our genes in order to get us to cooperate. The pressures of natural selection, on their view, have had an enormous influence on human psychology, including the hardwiring of epigenetic rules, widely distributed propensities to believe and behave in certain ways, which have developed through the interaction of human genetics and human culture. Such rules give us a sense of obligation because of their adaptive value, not because they detect any actual moral obligations. Objectivity in morality is illusory, a useful fiction. Ruse thinks Darwin’s theory complements Hume’s subjectivism. On Hume’s view, belief in objective moral properties is at best unwarranted, and talk of them is in fact meaningless. The only fact of the matter we find in moral judgments is an object of feeling, not of reason. It lies in ourselves. The mind, as Hume put it, has “a great propensity to spread itself on external objects,” so that the subjective feelings that, given our constitution, result from such contemplation of some act, are mistaken for perceptions of objective properties of the act itself. Let’s call the combination of naturalism and an overall Darwinian account of the origin of the species evolutionary naturalism (EN); according, then, to one like C. S. Lewis, on EN, the dictates of conscience are little more than an aggregate of subjective impulses which, although distributed widely throughout the species, are no more capable of being true or false than a vomit or a yawn. If EN is true, then human morality is a by-product of natural selection. If human morality is a by-product of natural selection, then there are no objective moral facts. This isn’t an argument for God, but for the falsity of EN. Also, naturalism doesn’t entail Darwinism, but Darwinism seems to be the only game in town. Linville’s primary focus will be to consider objections to the first two premises. He realizes there are plenty of anti-realists out there, but wishes to focus on realists who try to ground their realism in EN. One might object to the first premise by denying that natural selection is solely or even partly responsible for the emergence of human morality. And the second premise might be accused of a common fallacy by moving so quickly from an account of the origins of human morality to the assertion that its claims to objectivity are false. 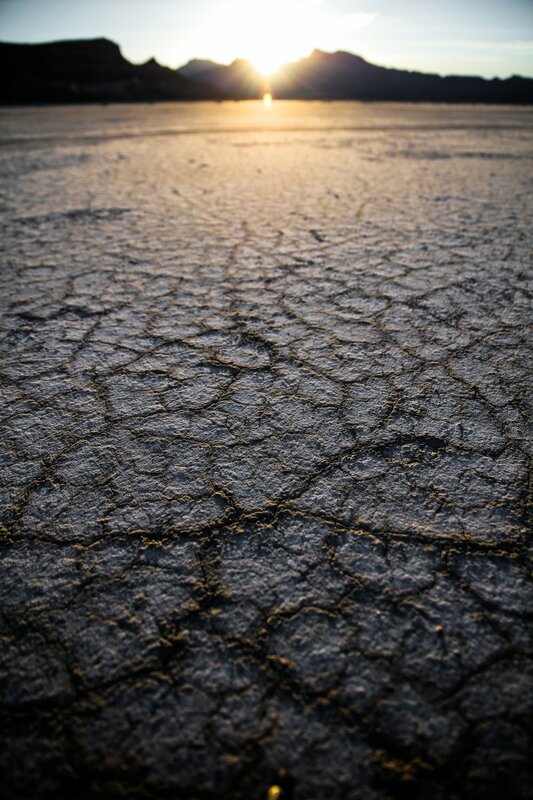 What might the evolutionary naturalist say about the possible connections between the workings of natural selection and the truth of our moral beliefs? Might we offer a similar evolutionary argument for moral skepticism? Sober suggests it’s a tall order because we’d have to identify the processes of moral belief formation and the would-be truth-makers for moral beliefs, and then show such processes and truth-makers to be independent. Call this the Independence Thesis. Of course the Independence Thesis doesn’t entail that morality is an illusion, but merely that our moral beliefs are probably false. But we need not argue for the falseness or probable falseness of our moral beliefs. Nor is it necessary to argue for the truth of the Independence Thesis. It is one thing to suggest that there are positive reasons for asserting epistemic independence, and quite another to say we lack any reason for thinking that a relevant dependence relation obtains. We would have a reason for thinking there is such a relation just in case the best explanation for a person’s having a given belief essentially involves the truth of that belief. It seems that a plausible Darwinian yarn may be spun in such a way as to offer a complete and exhaustive explanation of our various moral beliefs without ever supposing that any of them are true. It was no background assumption of the evolutionary explanation of our moral beliefs that any actual moral rightness or wrongness existed in the ancestral environment. When we look at the animals, we explain their behavior and the impulse toward their behavior by appeal to adaptiveness. Moral properties are not included in the cast of characters. On a Darwinian story, conscience is what arises in a social creature once the social instincts are overlain with a sufficient degree of rationality. (2*): If human morality is a by-product of natural selection, then there is no moral knowledge. An evolutionary account serves to undercut whatever warrant we might have had for our moral beliefs, and if they lack warrant, they are not items of knowledge. Wilson and Ruse think Darwinism poses a rebutting defeater for our moral beliefs, as well as for moral realism itself. Linville instead thinks the proponent of AEN might back off from the stronger claim that Darwinism entails that there are no moral facts, speaking instead of whether we are warranted in our ordinary moral beliefs. In this way AEN becomes an epistemological argument for moral skepticism. As Richard Joyce observes, the conclusion that our moral beliefs are “unjustified” is “almost as disturbing a result” as an argument for the actual falseness of those beliefs. What we lack is some reason for thinking that the adaptiveness of a moral belief depends in any way on its being true. Linville turns the tables on Sober. Instead of Sober’s suggestion that the AEN defender must show that moral beliefs are independent of any truth-makers, perhaps the onus is on those who assert dependence. Why, given EN, should we suppose the world to include anything more than natural facts and properties and our subjective reactions to those properties? Photo: "Charles Darwin" by PhOtOnQuAnTiQuE. CC License.